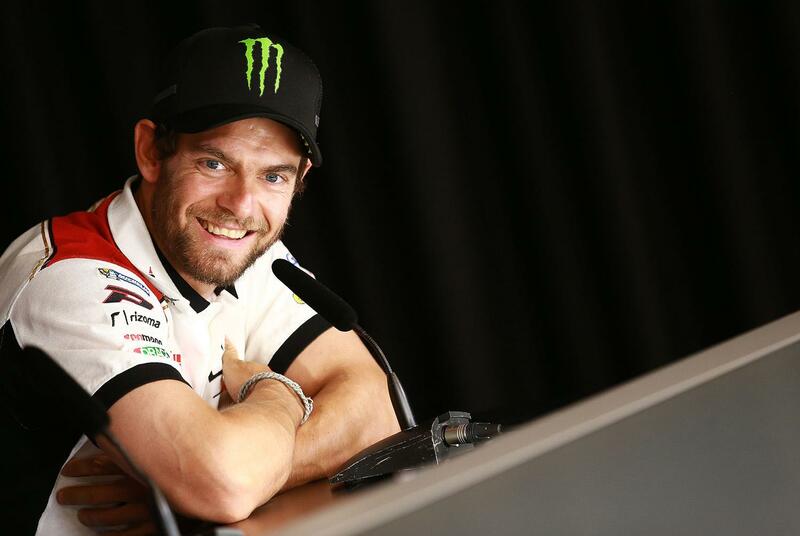 With Cal Crutchlow recruited by MCN to guest edit our bumper British Grand Prix preview supplement, we got the double race winner to rate his fellow British rider – with typical Crutchlow bluntness and honesty! My crash in Jerez and Qatar takes my score down, even though it was just front tyres just being too soft. But in the other races I’ve felt good and had some good results. I think I’m riding well, but I don’t think I’m riding the best I’ve ever ridden. I’ve made more points than last year though, and I intend to have a good second half! He’s riding good, he’s not too far off, and it’s not easy in this championship – but the team have expected something way out of realism and they’re not giving him the time he needs. If he had the extra 40 minutes a weekend he’s sat in the garage because his bike isn’t working, then he’d be a lot faster, too. There’s a few people that crash – me, Jack, Petrucci, Marc – and Sam is only matching us. He’s trying his best and that’s it. I’d nearly even give him an extra point because of his enthusiasm and because he never says a bad word about them. He’s had many chances on good bikes, and he’s spent the last two years on a satellite Ducati that can win races. He has the same comment every single race – he can’t get any rear grip. He’s had a lot of chances and still can’t get it together. Don’t get me wrong – he’s a fast rider and he’s fast in practice and qualifying, but he just can’t get it done come race day. I don’t know about Brad because it’s hard to say. I think the bike is a lot better than they’re doing, simply because of history, and Pol is doing better than Brad. But at the end of next year he’ll be doing better than Pol! He’s a worker – he’s not naturally fast, and works hard at being fast. He’s not been fully fit because of his finger too, but you never hear him complain and he does the best job he can. He’s been average, considering how well he started the season. He’s a great rider, and I just expected a little bit more from him. But I think we’ll see him come round again towards the end of the season, like he did last year. I don’t think it’s easy for Taz, because he doesn’t know a lot of the tracks and Moto2 is a great leveller. He’s going about his business well though, because people are talking about him. I hope he’s here next year, because he probably needs a second year and a second chance. He’s exactly like his dad though – really quiet and inconspicuous in the paddock! MotoGP: Crutchlow the hottest property?